First is the new Polaroid Mint Instant Digital Camera & Printer, an all-in-one 16-megapixel camera and printer that allows you to instantly print any photo you take. And, unlike most portable photo printers, this device requires no ink or toner. This is accomplished by following in the long Polaroid tradition of including everything into the paper. The special Zink zero ink paper gets inserted into the camera and contains everything needed to produce a printed photo. If you're a fan of the classic Polaroid look, you can even include the classic white border around the photo, making the print look exactly like a Polaroid photo of old. The Mint camera can print 40 photos per charge. If using a special camera is not your thing, then you can grab the Polaroid Mint Instant Digital Pocket Printer instead. Just like the Mint camera, the printer uses the specialty Zink paper, meaning you don't have to maintain ink or toner in the printer. 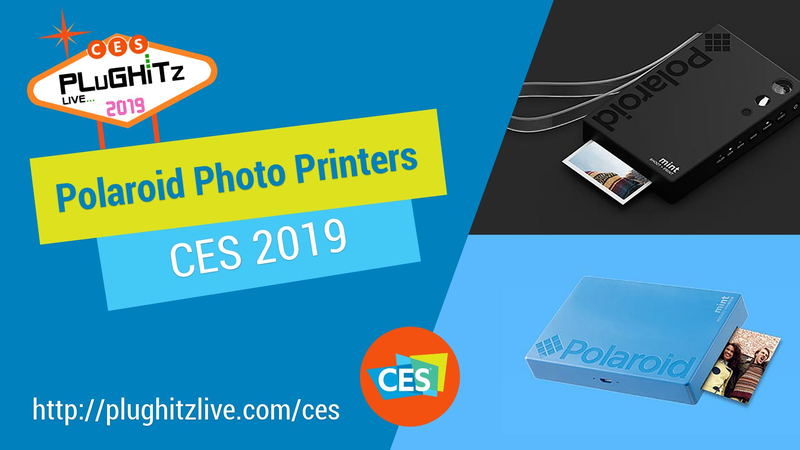 With this device, however, you can use the camera on your Android or iOS device and, using the Polaroid app and Bluetooth, print directly from your phone or tablet. Like the camera, you can include the classic border, making the photos look like a traditional Polaroid photo.